The Eredi Martinelli began life in the late 1940s when the quarry owned by the Martinelli’s family produced its first block of Botticino Classico marble. Today it is one of the most important company in the Botticino Classico marble market. We supply any kind of marble products: form blocks, and slabs to tiles. The Botticino Classico marble is one of the top made in Italy stone in the world and it is the absolute best in the beige marble. The Eredi Martinelli is one of the selected members of the Consortium of the Botticino Classico Marble Producers, together with the Municipal Council. The Consortium has been created to protect and promote the superior local stone quarried from the Botticino basin. 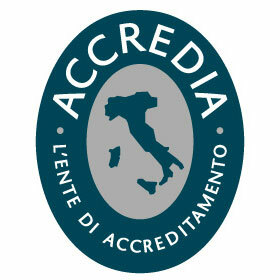 The Consortium registered the “Marmo Botticino Classico” collective mark, to certify the authentic origin and unique quality of both material and production methods, as well as to supervise the Botticino Classico marble products trade. Botticino Classico is a truly unique and unmatched stone, as special as its area of origin. With its aesthetically pleasing colored veining on a white, ivory base, its structural compactness and strength, weather resistant quality, not to mention its versatility in architectural and artistic projects, this marble is perfect for both interior and exterior use.